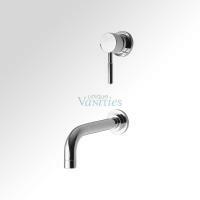 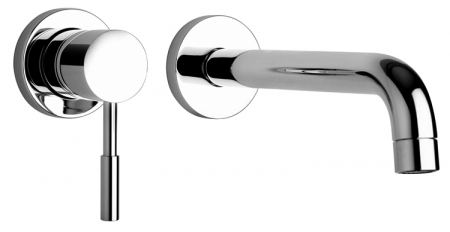 Dimensions: Overall Height: 2.36"; Spout Height: Adjustable as installed in wall; Spout Reach: 8.5"
This simple wall mounted faucet will add a modern look as well as great functionality to the bathroom. 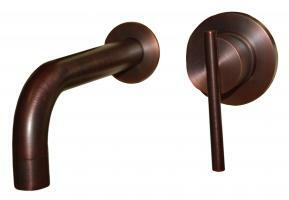 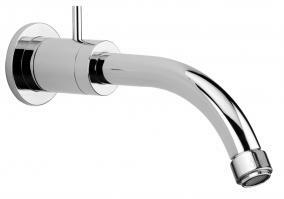 A single lever controls the water flow and temperature with ease. Shown in classic silver chrome, there are many finish choices available to choose from to best suit the dÈcor of the space.